MoP - Month of Photography Denver is a biennial celebration of fine art photography with hundreds of collaborative public events throughout Denver and the region in March and April of 2015. 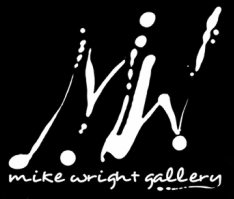 Mike Wright Gallery has assembled a dynamic roster of artists working in alternative processes and pushing the boundaries of photography for group show "ANALOG". The exhibition will open on Thursday, March 12th from 6-9pm to coincide with The Month of Photography and feature the work of Jeff Klapperich, along with talents Bill Adams, Joe Addison, Keith Brenner, Carol Golemboski, Galina Kurlat and Ted Preuss. 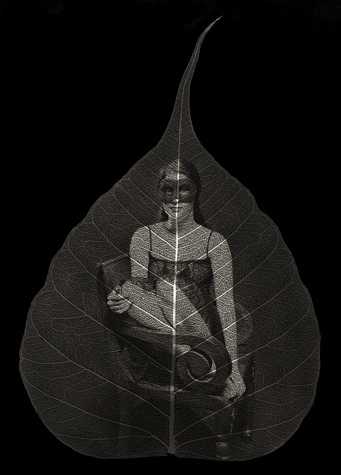 The process for making platinum prints was invented in 1873 by William Willis. The process depends on the light sensitivity of iron salts to create an image. Chemical reactions exploited during developing, however, dissolve out the iron salts and replace them with platinum. 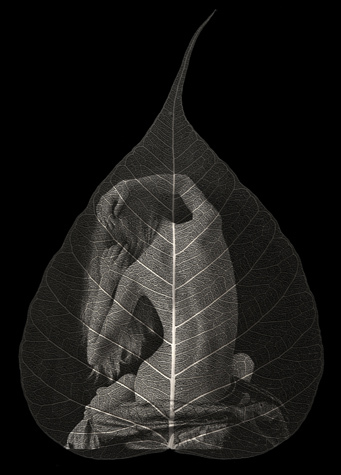 In the Skeleton Leaves series, Preuss embeds the image on the leaf of a bodhi tree, a species of fig and a sacred tree in Buddhism.